Kroger and affiliate shoppers! 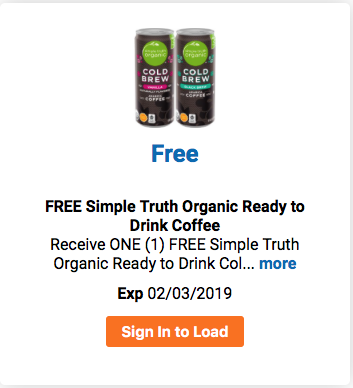 Today only, download an e-coupon for a FREE Simple Truth Ready to Drink Coffee! You have to download the coupon today but you’ll have through 2/3 to redeem it.